What does it mean to be a nation of immigrants? 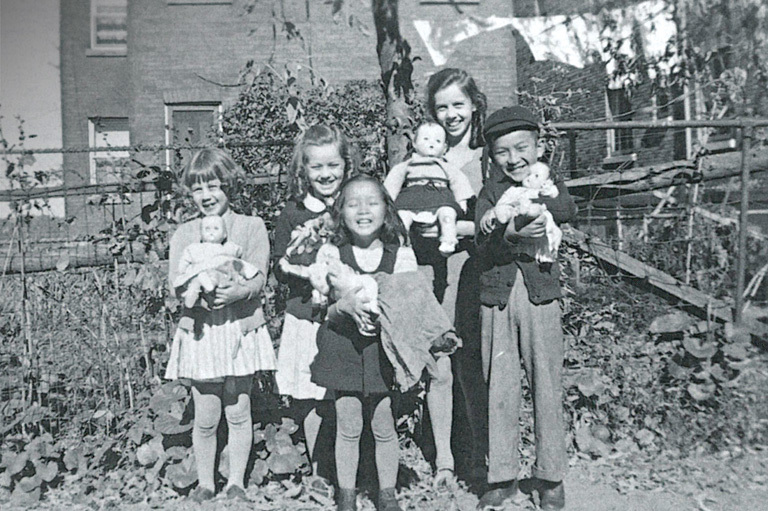 Adrienne Poy (Clarkson), centre, and her brother, Neville, right, play with their French-Canadian neighbours in the Poys’ backyard at 277 Sussex Street, Ottawa, in 1945. The family had been in Canada for two years. When my family first came to this country with one suitcase apiece, we knew we were very lucky to be welcomed by Canadians named Potter, Marcotte, Proulx, and Molot. They took us in even though they had no particular reason to do so. I believed it then, and I believe it now. I have always felt that I could be, and wanted to be, Canadian. At the age of three, I could hardly have been expected to understand that this would involve not only acceptance by the people who were already here but also that I would have to make adjustments and that, in making those adjustments, perhaps I would lose something. All people who come to this country have lost something. We have all lost our original place in the society in which we were born. We have lost the acknowledgement of who we were in our birthplace — in the streets and mountains, and by the lakes and the sea, of where we come from. We have lost geographies of emotional and physical landscape. That is why everyone who comes to a new country and makes her life there is to be admired for her courage and her leap of faith that things will be better. by Adrienne Clarkson No matter where we have come from, we are all Canadians. 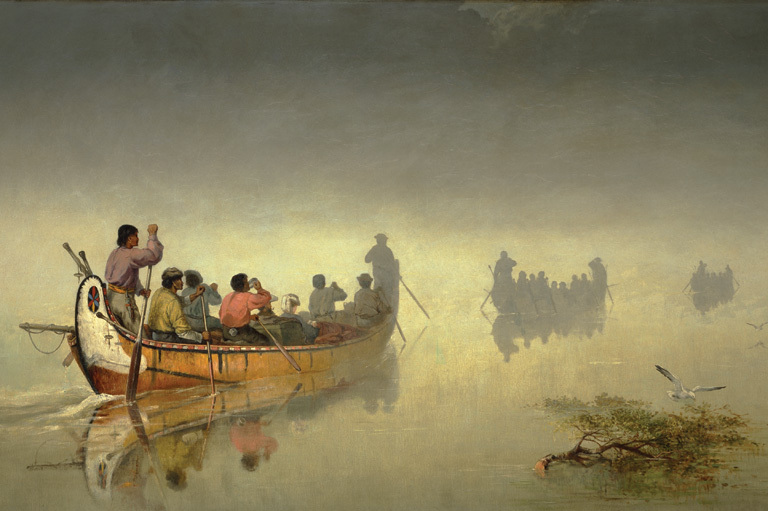 Canoes in a Fog by Frances Anne Hopkins, circa 1869. Often, of course, we as newcomers to a country do not even try to assess that loss. In my family, my father emphasized to us that we must never think of what we had lost, that we must never look backwards. Turning resolutely forward, I always assumed, through my father’s attitude, that we would gain more than we had ever lost. I have never forgotten that feeling that there was going to be more for me than there had been in the lifetimes of my parents. 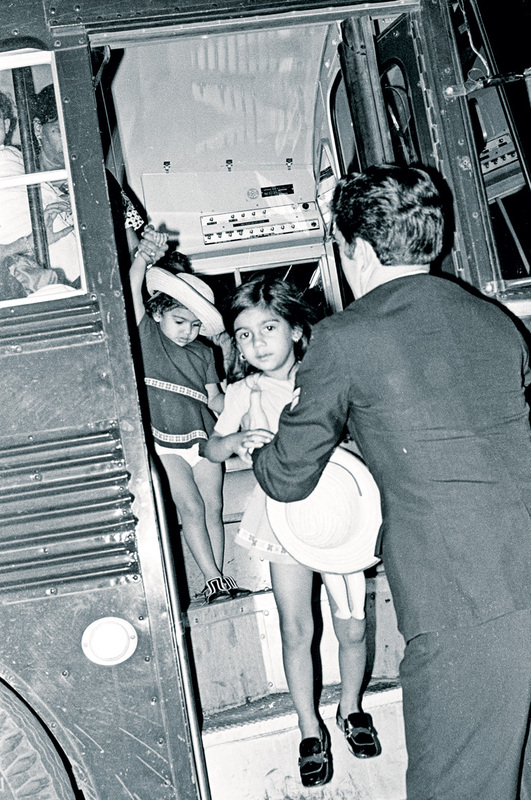 As I grew older in the little city of Ottawa, I saw some people arrive after the Second World War who were called displaced persons — people taken in by our country because they had nowhere to go. I saw people who had tattooed numbers on their arms — from Nazi concentration camps — working in our local corner store. I welcomed kids in my classroom who could not speak any English in Grade 9 but within three months had learned the language with only a bit of an accent. I lived alongside these stories of hope and salvation all through my life. And I lived the hope and salvation myself. Probably that is why I am totally prepared for it to go on, always, the way it has. It seems to me that Canada will always be what we have been — a place that welcomes people and knows that, even though they have lost everything, they are prepared to play the game again to win everything back, and more on top of that. Everyone knows that Canada became an immigrant country right from the start when the French landed on these shores in the sixteenth century and made a deal with Indigenous people to settle here. We, as new immigrants, did not stay by the seashore. The St. Lawrence River meant we were able to penetrate deeply into the continent right from the beginning. We only needed the Indigenous people to show us how to do it. We did not stay a seafaring nation, and we did not become one even after the British took over from the French in the eighteenth century. Our destiny was always to go inland via the lakes and rivers. I think the opening of our country — which was then thoroughly populated by Indigenous peoples — through its waterways made our immigration into a kind of absorption into the land. Water is not just a metaphor in Canada; it is the means by which we discovered this continent and made it part of us. As newcomers, we would never have been able to explore the continent without Indigenous help. They showed us, for instance, how to take birchbark and make it into a canoe. Only the canoe made sense in this roadless country, where horses and wheeled carts would have been useless. The French colonizers were determined to go inland to seek further wealth. 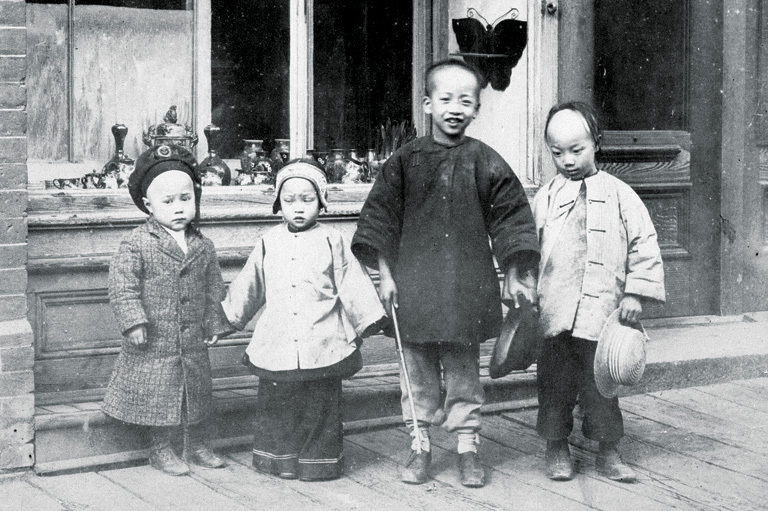 Their ultimate destination, they thought, was China, but what they were really searching for was ultimate riches. In the end, wealth was found in the fur of the beaver, which lives in the continent’s waterways. And this made us into the kind of country we are. Political economist Harold Innis has pointed out that penetrating the country through its rivers and lakes made us different, made us become another kind of economic entity. We became a country by osmosis. We did not initially have to drive anything through the continent, like a road or a path. Existing waterways — and guidance by Aboriginal people — led to the expansion of the European world into the new continent. By contrast, our neighbours in the Thirteen Colonies to the south concentrated on their closeness to the ocean. They started to cultivate crops such as tobacco, rice, wheat, corn, and indigo according to their climate. Then, several decades after American independence, cotton became important. Dependence on cotton, and therefore dependence on slaves, drove what became a formidable and powerful American economy. Our history was concentrated on the fur trade — and on cooperating with First Peoples to find, trap, and skin beavers and then process their pelts and package them to be carried out in the same canoes that had carried the fur traders in. I feel that the history of the fur trade really leads us to an understanding of how we were able to take our place in this country. That’s why the emphasis Innis places on this is seminal to everything we can believe about our country. Of course, in the late-nineteenth century, the transcontinental railway came, enabling people who arrived by ship to be transported to the other side of the country. Later, people arrived by airplane. But I’m convinced that the initial two hundred years of fur exploitation and fur trading characterized our country forever. Even if you have come from Hong Kong and are Chinese, this history is subliminally written into everything you have become as a Canadian. In 1942, when my family arrived, this country was predominantly white, British, and insular. We met French Canadians, and we heard French being spoken, and we understood that that was also important and that there was something original about that combination. Also, the people had decent values and a proper infrastructure of parliamentary democracy and common law. That layer of complexity, that francophone reality — which had its own legal system and was part of the Canadian fabric — made Canada different. It set us apart from the Americans. Fourteen-year-old Adrienne Poy (Clarkson) and her mother, Ethel Poy, at their family cottage on McGregor Lake, Quebec, 1953. At the time I went to school, geography was taught extremely thoroughly, and the names of all the explorers were the names by which I understood what our country was, why our country had been explored in all its enormity. The exploration of the West by David Thompson, Peter Pond, and Samuel Hearne was heroic and extraordinary. The attempts by missionaries to carry the Word of God as far as possible convey an extraordinarily romantic vision of our country. And the history of the Grey Nuns of Montreal, who travelled by canoe into western and northern Canada in the midnineteenth century to provide health care, is heroic — I’m always amazed that it is so little celebrated. Again, all of this exploration was by the natural waterways of our country. Our great literary scholar Malcolm Ross wrote that Canada is a country like a tray of melting ice cubes. The cubes represent the identities of people when they get here; as they slowly melt they blend together to make one watery mass. I’ve always liked that analogy because I think it suits us and it tells us, in a way, what we are. It shows us that we were once solid and that we could become fluid, and that at any time we could again become frozen together. Once the divider in the ice cube tray has gone, and the ice cubes start melting together, we become one mass. I believe also that we did not become like our European forebears: We might have looked like them, we might have talked a bit like them, but we are not them. The United States of America was much more successful in promoting the European model for the kind of state it became. As John Ralston Saul often points out, they took on the Westphalian model, and it fit them to a T. In Canada, nothing like that happened, because we were English, French, and Indigenous, and our geography and the way in which we discovered and became part of our geography did not lend itself to a Westphalian model. The fact that we were Catholic and Protestant, Aboriginal, French, and English, and that we penetrated the wilderness, made us completely different. Immigrants arrive at Union Station in Toronto, circa 1910. The United States developed its European model with the declarative nature of American life: the Declaration of Independence and the emancipation of the slaves. Ours was an inhabited nature not written declaratively in ringing sentences but rather lived and absorbed. We are, in fact, a soluble nation. Fresh water continued to be very important to us when the fur trade diminished and we shifted our major commodity to lumber. We had to have waterways to float the timber downriver to be milled and then sent over the ocean to Great Britain and the markets of Europe. We did not have to wait for European methods of cultivation to open our part of the continent. By the early seventeenth century, Samuel de Champlain was already trading inland, beginning what became a sophisticated political economy in the interior. And we didn’t wait, either, for the kind of settlement that we decided to have when we boosted our immigration at the beginning of the twentieth century. According to the Canadian Council for Refugees, 41,681 immigrants came to Canada in 1900. By 1913, with the immigration policies of Sir Clifford Sifton under the Wilfrid Laurier government in full swing, that number had jumped to 400,810. The land itself was prepared by the nature of its exploration, and by the choice of its political economy in the fur and lumber trade to receive the people who came. When I’m in Europe, people frequently say to me, “Of course you can take immigrants, you’ve got such a huge country.” It is as though they think we’ve spaced out our population, placing each immigrant on one square kilometre of land. Nothing could be farther from the truth. Our immigration comes to large cities just as immigration comes to large cities in Europe. We had a policy of settling people on the prairies, but that was always based upon cultivating the land and providing newcomers with animals, seed, and tools. Very little was left to chance in the way in which we settled our West. Children, probably in Montreal, date unknown. Our manner of accepting immigrants is very much coloured by the past. Most of us have either been immigrants or carry within us a family memory of immigration. But we should not forget that the knowledge and the welcome Indigenous peoples initially provided were critical to successful immigration in Canada. A statement made by Grand Chief John Kelly to the 1977 Royal Commission on the Northern Environment demonstrates the remarkable generosity displayed by this country’s original inhabitants. Kelly described how the Ojibwa were cheated by Treaty 3, which was originally signed in 1873. In that agreement, the Ojibwa surrendered 14,245,000 hectares of land in what is now northwestern Ontario in return for annual payments, reserves, farm equipment, and other tools. However, many Treaty 3 people maintain that their forebears only intended to share their land with the government; they did not intend to surrender it completely. Because we are able to see each other across a circle, because we are touching each other in the circle, we listen to each other’s stories, and we meet each other as people, and we acknowledge that we are all standing together on the same land. It is very hard to deny people’s rights to belong when they are standing in a circle, holding hands. It is, in effect, the most profound acknowledgement of our belonging to the human race. Of course, in the past we have tried to deny others their place in the circle. We have had ugly episodes like the Chinese head tax, the forced relocation of Japanese Canadians during the Second World War, the refusal to take in the Indian migrants of the Komagata Maru, and the refusal to take in the desperate Jewish refugees on board the MS St. Louis at the start of the Second World War. These are episodes of shame. However, we have always attempted to make it right in the end. I think that is what enables us to be a healthy society. It does not make us better than anybody else. It just helps us not to be sick. Ugandan-Asian refugees are received at CFB Longue Pointe, Montreal, October 1972. The key phrases in this speech — “adopted country,” “diverse portions of the globe,” “their paramount desire must be the happiness and prosperity of Canada” — are relevant to us today. A logical evolution has taken place because of a fundamental belief that was first enunciated by LaFontaine. We need these ideas as our guide as we move beyond 2017. As Canadians we absorbed complexity early in our history — two languages and two religions, for starters. We have done so to such an extent that living with ambiguity, vexation, and some measure of discomfort is acceptable and even desirable to us. This does not mean that it is easy for us to accept people from all over the world, but it makes it possible. In Canada, we live in an uncomfortable climate, and we are used to dealing with difficult geography and a great deal of change. Change is something people don’t talk about very much in Canada, but we have evolved enormously in my lifetime. I arrived here seventy-five years ago to a country that was white bread and white snow. The background hasn’t changed, but in the foreground all sorts of things have changed. It is difficult for us to imagine now that in 1970 we probably had only about a thousand Muslims in Canada. That same year we accepted ten thousand Ismailis, which was pretty impressive. We aren’t better than other people because we accept the world in our home. We are simply used to the fact that our home can become the home of many other people, just as we once made our home where the Indigenous people lived. Change is the name of the game for us in Canada. We have always lived with the complexity of one quarter of our population being francophone, and we are used to dealing with the situation even as we can all be alternately annoyed, upset, and exasperated by it. The way I see it, our irritations with each other are like those that happen among family members who learn to accept each others’ particularities and differences. I also believe that our ability to live with unresolved questions makes us conscious that not everybody is alike. In Europe, people often ask me, “When will the problem of Quebec be solved?” and I am very happy to reply, “Never!” We know how to live with our complexity; we are not going to let anybody else try to solve it for us. I think our ability to understand that our society is not just a multiplication of each of us as individuals — but includes many who are not like us — has been the healthiest sign of what we are as a country. We are fortunate that we have been able to have so many people in our country who are not like ourselves, who do not come from the same background, and whom we may not necessarily like. The chance to build a society not only with people who are like us but also with people with whom we disagree, and with whom we do not ever wish to be enjoined in friendship, is actually a strength. Societies are made by people who are different and who make space for each other because they are different. Before making judgments, we have to search for our common humanity, our decency, and our generosity. 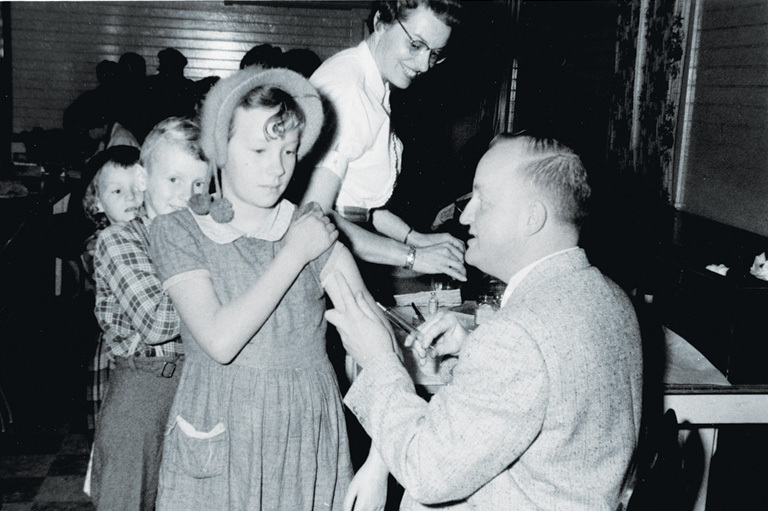 A girl receives a vaccination shot from a doctor with the Department of Citizenship and Immigration, circa 1950s. In the future, when we look at what the policies are going to be for populating our country, we have to realize that we are going to get contributions from people of whom we would never have dreamed, and that perhaps changes will be made that we might even feel uncomfortable with. We have to understand that there are going to be differences, and we have to listen so that we know how to work that out with each other. We want to be listened to, so therefore we’re going to have to listen, and we’re going to have to strengthen our democratic heritage. We must let other people be, as they will let us be. I am very sure that Canada is at its best when it offers benevolent neglect so that people find their way, sometimes stumbling, but without obstacles put in their path. When my family came to this country, we wanted to be included. And we were. We were fortunate in that we came from an Englishspeaking colony of Great Britain and therefore had no language problems. We were also colonial people and had been Anglicans for four generations. So society and the church were great bulwarks for us as a family. But it was individuals who made the difference to us: the Jewish pharmacist near us, who would walk my brother home after filling our prescriptions; the girl whose parents were determined that we would not have to walk alone to school through the snow, and who came to call on us each day; the wonderful French-Canadian families who taught my mother how to cook tourtière. They gave of themselves, without really asking where we had come from and without asking us to give anything back. 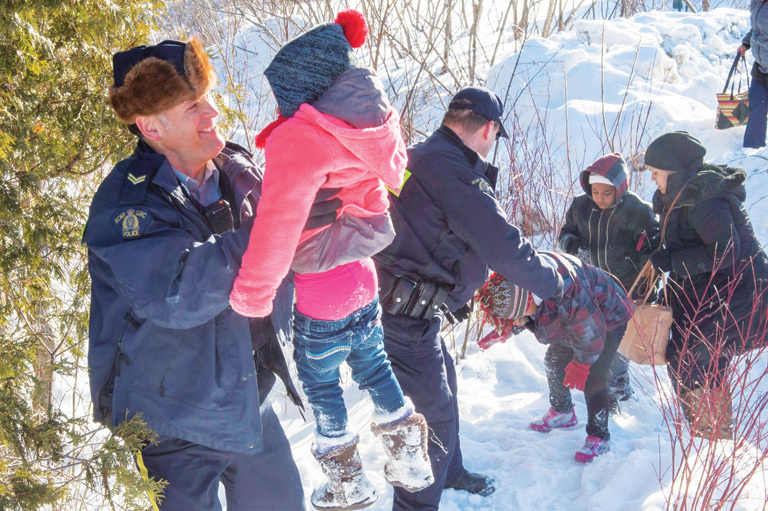 This photo of RCMP officers assisting a refugee family crossing into Hemmingford, Quebec, in 2017 illustrates the complexities of accepting newcomers to Canada. While welcoming this family with open arms, the Mounties also had to arrest them for crossing illegally. We don’t have to indicate to people that we understand everything about their backgrounds. When we accept people into this country as citizens, we are really just saying to them, “Now just go ahead and live your lives.” That is the healthiest thing about Canada that we can say to anyone. The co-founder of responsible government, LaFontaine, and the prophetic prime minister who brought settlement from all of Europe to Canada were in agreement. We could be the kind of country we have become. In the future, that is what we must always keep as our guiding principle: that we acknowledge what we have been, and that we continue to be that. I think it is something we can hang on to if we continue to understand that our geography is our particular land, that our history brought us economic wealth through fur and timber, and that the use of our waterways is vital to our remembrance of our roots. That is what we must always hang on to, and it will carry us on through to the next centuries. The Right Honourable Adrienne Clarkson served as the 26th Governor General of Canada from 1999 to 2005. The former television broadcaster is also a bestselling author and wrote a series of essays for the 2014 CBC Massey Lectures entitled Belonging: The Paradox of Citizenship. She also wrote Heart Matters: A Memoir (2007), Room for All of Us: Surprising Stories of Loss and Transformation (2011), and a biography of Norman Bethune (2009). Understanding the spirit and intent of the Treaties matters to all of us. Tensions were high between the Northwest Company, Metis and the HBC employees and Selkirk Settlers as they competed over resources. The squalor of nineteenth-century industrial cities prompted planners to come up with a novel solution: green space. While thousands of eastern Europeans poured into Canada to settle the prairie west, a few hundred elected to return to their roots and build an agricultural utopia in the new Soviet Russia. Utopian, it wasn’t.